This is a review of the Iron Company 5150 Olympic Weightlifting Bar; a new 20 kg, 28 mm, multi-purpose bar that has many premium features, a fair price, and specifications that rival some of today’s most popular mid-range Olympic and WOD bars. On paper this bar is definitely promising; offering us versatility, durability, and a high level of performance (for a price that most can afford). 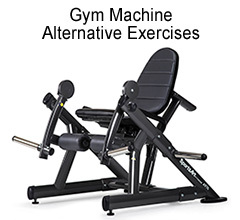 Because of the solid specs and good pricing, the 5150 also looks as though it should appeal to a large variety of customers; weightlifters, CrossFitters, and maybe even commercial gym owners looking to buy gym bars. Well in this review I am going to take a very close look at the Iron Company 5150 and see if it is as strong in reality as it is on paper. We’ll see if it belongs on your short list or not. 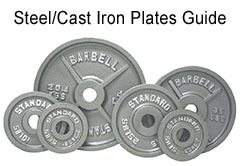 For those of you who are unfamiliar with Iron Company, they are a huge strength equipment retailer that has been around for over 20 years now. 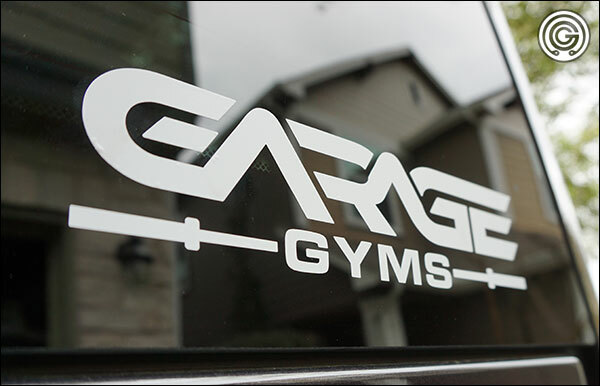 They’re a major distributor for some of the best equipment brands in the world including Iron Grip, Ivanko, Legend Fitness, Precor, Ader, York, Life Fitness and dozens more. They outfit commercial facilities, are licensed for government gym contracts, and they also sell retail direct to the public. Only recently did I discover that Iron Company has their own line of branded equipment as well, including not just the 5150 bar that I am reviewing here but many other bars and other products as well. I recommend taking a gander, as you should always know what all of your options are when shopping for equipment anyway. This is my first Iron Company product review (probably yours too), so let’s see how it goes. Here is a rundown on the IC-OB-5150’s technical specifications. You may refer to this while reading this review or when comparing this bar to bars from other manufacturers. All of this info is also available on the Iron Company website. 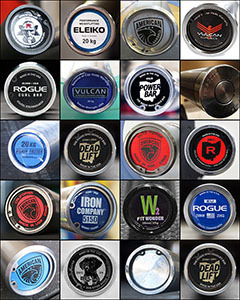 It’s worth noting that Iron Company has some of the most thorough product descriptions in the industry – so kudos to them for that. This bar adheres to all IWF specifications except for the lack of a center knurl. This is not problematic for the majority of athletes, and is actually rather commonplace these days. There are many Olympic and WOD bars that are rated in the 190k’s these days, and this is because it has proven to be an excellent steel choice for this application. It’s strong without being excessive, and affordable enough to not be cost-prohibitive. At 28 mm and 190k PSI we’ve seen that elasticity is in a good place, and regardless of whether you can clean 40 kg or 160 kg, the shaft will return to straight rep after rep after rep. 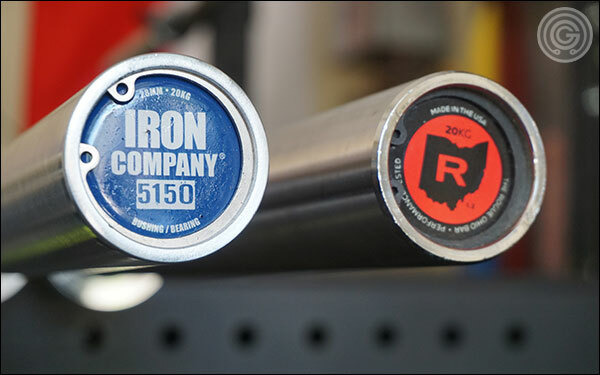 The fact that the Iron Company 5150 has a tensile strength rating 5k more than the average Olympic/WOD bar does not really impact elasticity, but the fact that it is a 28 mm bar versus a 28.5 mm bar does. I found the whip to be on par with both the Rogue and American Barbell 28 mm, 190k PSI bars; which of course is a hint more elastic than the 28.5 mm bars out there. The 5150 isn’t made with exotic alloys so a normal level of whip for the bar’s geometry is to be expected. The IC-5150 has what’s referred to as a hybrid rotation system; basically a combination of bushings and bearings. It’s not remarkably uncommon for a bearing bar to have a bushing, but it is quite uncommon to replace what would normally be the second bushing in a two-bushing sleeve with a needle bearing. The only other noteworthy, mainstream bar to use a hybrid rotation system is the Eleiko XF. Like the 5150, the XF was designed as a multi-purpose / WOD bar that could offer decently high performance in both the Olympic lifts and the big three. The lone inner bronze bushing per sleeve offers decent spin and high durability, while the single needle bearing at the end of the sleeve improves rotation – and since there are only two needle bearings in the whole bar instead of eight or more the price of the bar is kept down. I own the XF and I find it to be a very impressive barbell, but at $500 it certainly should be. I must also confess that my love for the XF has little to do with the fact that it’s a hybrid bar and more to do with the elasticity of the shaft, the firm knurling, and the beautiful finish. One could remove that needle bearing and replace it with another bronze bushing and I’d be just as content with the XF. The same goes for the 5150 – it has a solid shaft, resilient and beautiful finish, a consistent knurl, and a better price than Eleiko’s XF. Like the XF, the IC-5150 is a good bar despite the hybrid rotation system, not because of it. That having been said, Iron Company also added a third bearing to each sleeve in the form of a ball bearing. Ball bearings can really enhance rotation, but they do not handle radial or axial loads as well as needle (roller) bearings, so they cannot reliably be used exclusively in a barbell. Fortunately this ball bearing is redundant and is unlikely to ever pose a problem. I am going to keep an eye on it though. The sleeves of the Iron Company 5150 do not have any ribbing or grooves; which I know many of you can’t stand (the grooves, that is). 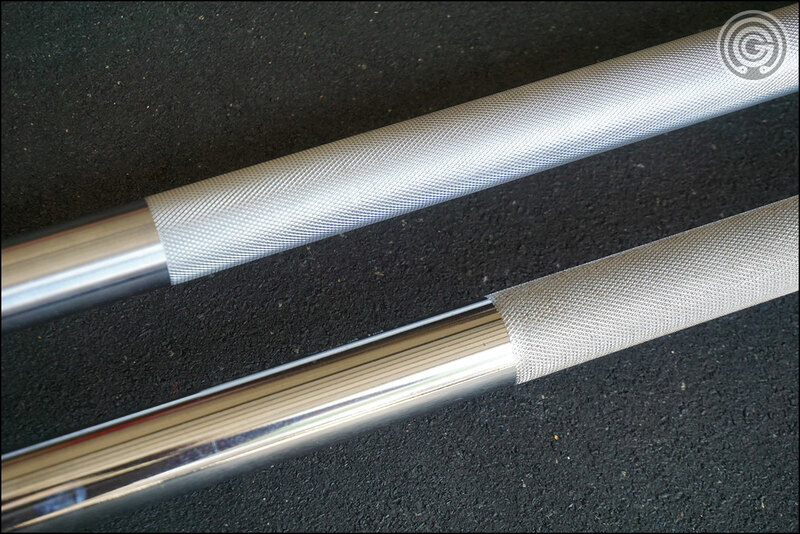 The knurling is fairly moderate; typical of a high-rep WOD bar. I liken it to something like the non-stainless Ohio-line bars (Operator, Rogue Bar 2.0, and vanilla Ohio) or the California. It is definitely not as firm as say a Vulcan Oly bar or the SS Ohio, but it is also not so mild that it feels like a junky Team or Bomba Bar. While a moderate, high-rep-friendly knurling is not exactly my cup of tea (even for high rep work), I have learned over the years that a mild knurling is favored by a great many lifters – especially CrossFitters and newer weightlifters. In other words the knurling is exactly where it should be if trying to appeal to the masses. The 5150 has IWF hash marks (it is not a dual-marked bar), and it has no center knurling. The 5150 has a hard chrome finish from sleeve to sleeve. 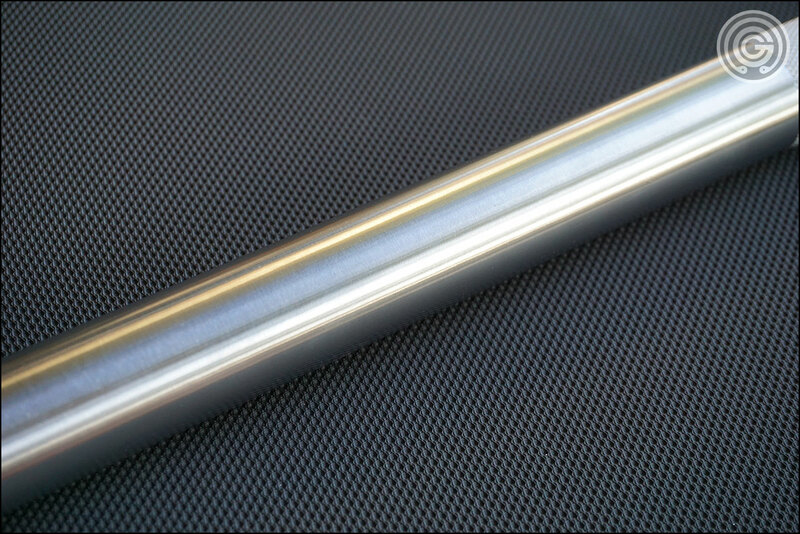 Hard chrome is a very beautiful and resilient finish; a much better finish than zinc, and in my own personal opinion a better finish than even Cerakote (especially in the case of the sleeves). 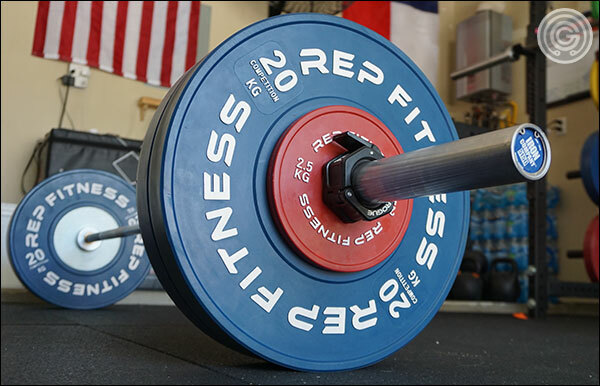 I’ve been testing my 5150 for about a month now for all the various lifts; which in my garage gym means that it gets loaded with both steel discs and bumper plates. So far I have done practically no damage to the finish by sliding plates on and off or with controlled drops. I am confident that the IC-5150 will maintain its new look for years. Currently the 5150 sells for $299 shipped, which effectively makes it a $270 – $275 barbell before shipping. Considering the steel and finish choices and the use of both bearings and bushings, I think this is a very reasonable price. Now to be fair I have always had mixed feelings about the use of even a single ball-bearing in a barbell that’s intended to be dropped, but given the high quality of every other aspect of the bar and the fact that I’ve not had any issues with mine, I’ve chosen to overlook it for the time being. Again, it is something I’ll keep an eye on though. All-in-all I think the 5150 is a good value for the money and I have no issues recommending it to weightlifters and CrossFitters who lean more towards the high-rep snatches and cleans than max-effort lifts. I think the 5150 carries over well for accessory work and it can even be used in the rack. I do think that the moderate knurl makes it slightly less than ideal for those who incorporate a lot of heavy powerlifting movements into their training though; specifically heavy deadlifts. Moderate knurling and heavy pulls just do not mix very well. The IC-5150 adheres to all IWF specifications except for not having a center knurl. The lack of center knurl is intentional though, as it makes bar more high-rep friendly (namely in the clean and jerk). The 28 mm, 195k PSI shaft offers good whip, and short of pure negligence it will remain as straight as an arrow for a lifetime. 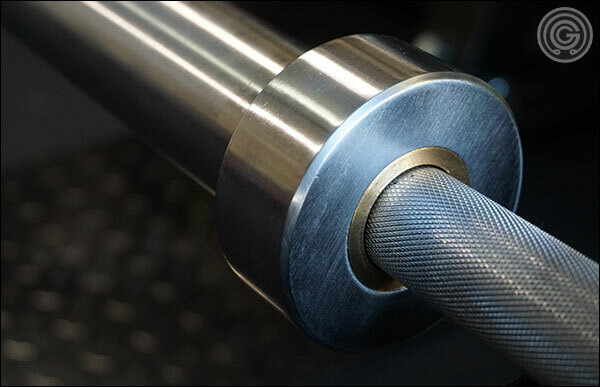 A combination bushing / bearing system offers smooth, reliable sleeve rotation; rotation that easily rivals that of a basic, bushing-based Olympic bar. 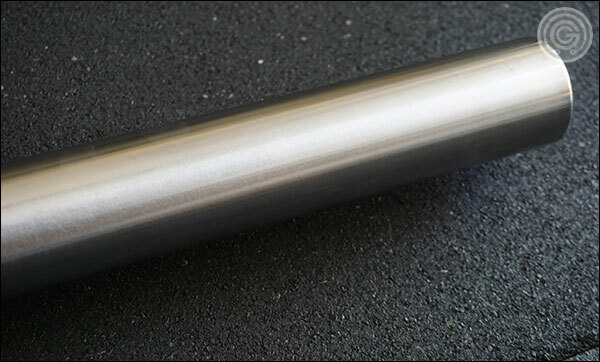 The hard chrome finish is resilient and beautiful, a much better option than the standard bright and/or black zinc that’s found on a great many mid-range bars. 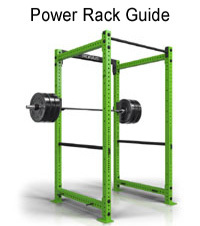 The 5150 is $299 shipped, making it not only a fantastic deal but a solid alternative to a number of established Oly and WOD bars; including many that cost much more. 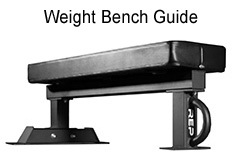 The 5150 is actually a really quiet bar; a big deal to many home gym lifters. 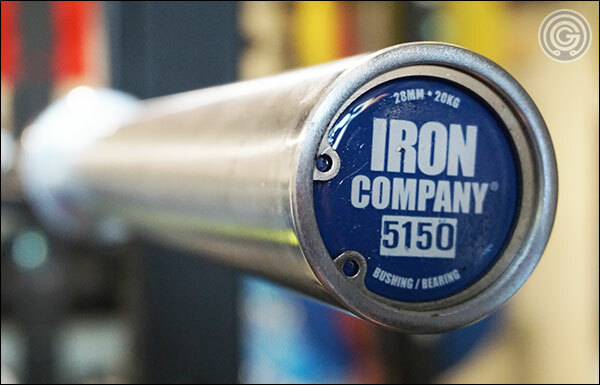 Iron Company includes a lifetime warranty on this barbell. The 5150’s hybrid rotation system consists of one bronze bushing, one needle bearing, and one ball bearing per sleeve. While this does offer excellent rotation, my experience has been that ball bearings are a poor choice for bars, as ball bearings are more likely to fail than a bushing or needle bearing. I personally would have liked to have seen only bushings and needle bearings used in the sleeve assembly. The moderate knurl will be ideal for the novice weightlifters and CrossFitters who favor high-rep sets or just aren’t pulling super heavy, but the total lack of aggressiveness may just not cut it for more experienced lifters; those who prefer that their bar offer at least a little bite. The sleeves of the 5150 have no grooves or texture of any kind. Many lifters do not like the grooves and will be pleased by this, while those who prefer to have those grooves may be put off. For those who do not know, the grooves the help rubber-coated change plates cling to the sleeves, allowing them to be loaded outside of the collars. Like I just mentioned in the previous section I think this bar is a good value – a lot of bar for the money. I can see the 5150 being an alternative to a number of common bars depending on your needs, budget, and personal preferences. The bushing and bearing hybrid system actually makes the 5150 a significantly less-costly, possible alternative to the Eleiko NxG XF as well; the XF being one of the only other decent hybrid bars on the market. It’s not a true case of comparing apples to apples obviously due to Eleiko’s flawless knurl and strong, whippy, Swedish shaft, but the idea behind these bars is the same and one definitely costs about 45% less to your door. At the end of the day I think the 5150 is a versatile bar – designed for cleans and snatches, but good enough to bring to the rack for presses, squats, and accessory work. The sleeves spin well, the finish is super resilient, and the price is very reasonable. 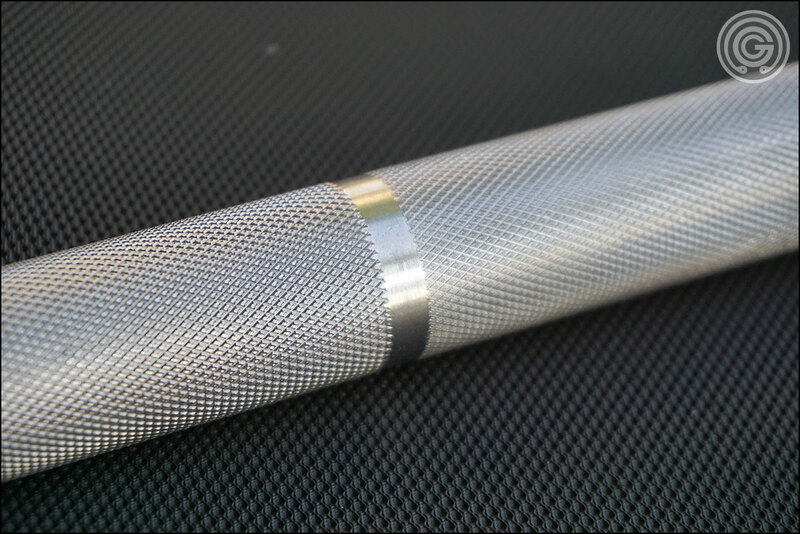 Again I’m not a giant fan of WOD-style knurling personally, but you may be, and if so this bar would probably suit you quite well. 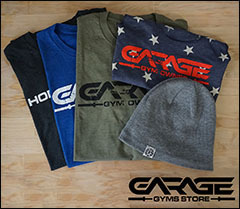 Don’t forget to check out the Garage Gyms Store!